Learn-PowerShel l| Rule the World Using A OneLiner: What are cmdlets ? 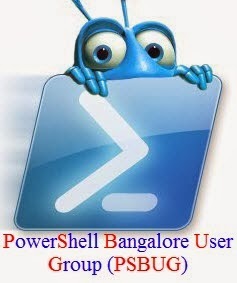 A cmdlet is a lightweight command that is used in the Windows PowerShell environment. The Windows PowerShell runtime invokes these cmdlets within the context of automation scripts that are provided at the command line. The Windows PowerShell runtime also invokes them programmatically through Windows PowerShell APIs.Cmdlets perform an action and typically return a Microsoft .NET Framework object to the next command in the pipeline. Cmdlets are instances of .NET Framework classes; they are not stand-alone executables those can be created from as few as a dozen lines of code. Cmdlets do not generally do their own parsing, error presentation, or output formatting. Parsing, error presentation, and output formatting are handled by the Windows PowerShell runtime.Cmdlets process input objects from the pipeline rather than from streams of text, and cmdlets typically deliver objects as output to the pipeline and are record-oriented because they process a single object at a time.